Every piece of jewelry tells a story. Of all the things women own, jewelry has remained close to their hearts always. The trinkets inherited from grandmother, the precious heritage jewelry passed to the bride at wedding, the one when she got her ears pierced for the first time and preserved since years, the one bought from first salary, that promise ring on the first date, the timeless solitaire engagement ring, the wedding band, and many such phrases have sweet memories behind them. Jewelry is perennial. Women love wearing the same trinket over and over again and still not get tired of it. Even after the years, she has possessed the ornaments, she loves adding trending pieces to have a priceless collection and keep the closet updated in order to keep herself style upgraded always. Hence the desire for jewelry never falls short. Trends come and go, style evolves. Everyone has a distinct way of adorning jewel pieces. Some love to style cool by keeping it simple and sweet with casual tops or daily ethnic wears while some love to show off by wearing a little shine even with everyday outfits. Some have craze to flaunt the heavily studded chunks at parties and weddings and add a tint of glamour to their couture outfits. Well, whatever the intention is, the central attraction is jewelry and there are some trending pieces that are believed to be ‘must have’ for every fashion geeks these days. Keeping the grace of single designer diamond rings intact, stack rings have been introduced by master craftsmen for finger jewel lovers. Gone are the days when there were limitations to designs, with the infinite styling options of same jewelry piece with different outfits, it is surprising to see how the same trinket can work like magic with different attires. Talking about rings, the mix and match style diamond rings for women are getting popular in females. Also, the three-tone combination of gold in a stack gives a gorgeous appeal to any outfit as they are capable of matching with funky and traditional outfits at the same time. You can also form a stack with a plain ring and a diamond-studded band like the one people use to form with their engagement bands together. For men who want to have something unique for their betrothal with no bars for budget, designer stack ring is a unique idea. They will give a lavish look to your beloved finger and your choice will definitely be appreciated. Bohemian style is what we call chic look these days. For everyday style, layering thin pendant necklaces is a fantastic thought with western outfits. For occasion wear like traditional or contemporary outfits, pearl layers with gold diamond lockets in between and layering a little above waist is a truly vintage look which is chosen by celebrities too at their weddings. Leaves, Flowers, Peacock, and other such nature-inspired elements are being crafted by jewelry designers in handcrafted jewelry, which is utterly unique. Reflecting the eternal love of Lord Krishna and Radha into jewelry designing will drag you back to the era and refuel your heart with love. With these marvels, you can stand out from the crowd and attract every eye in the room. White and Yellow Gold jewelry is generally adorned by everyone. This season, women are choosing rose tint of gold too. The 18k and 14k options with this hue make it affordable too. Due to its lightweight appeal, it is also chosen by most working women to flaunt it right and keep it pinpoint even at the workplace. 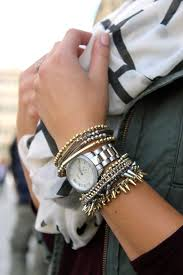 Accessorizing is the most fun part of any outfit and make sure that you seem unique and reflect your personality in the best manner with your distinct choice of jewelry by pairing it with your trendy ensembles.